In the video on this page, wellness expert and online Osteopath Tim Judd, explains the posture problems and influences that create poor posture. He looks at how important good postural habits are to your health and well being. For immediate posture correction, go to the Stretching Studio for Essential Stretching Exercises that can start you on the journey to perfect posture and well being – or add to cart now. 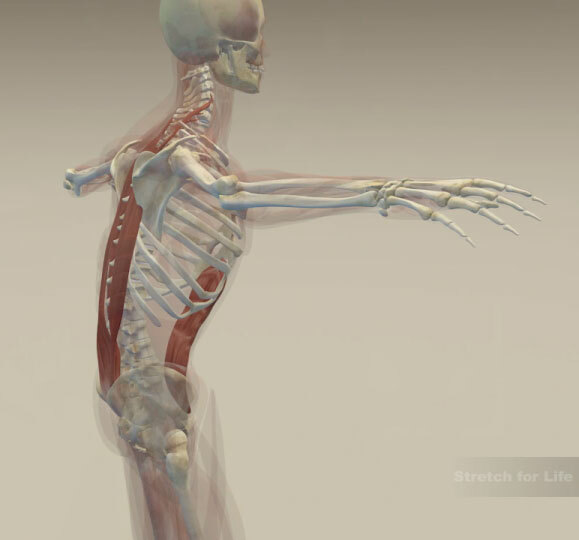 Learn how posture affects your whole body through medical anatomy and 3D animation. Understand how the curvature of your spine influences your whole body and health. Weak shoulder and upper back muscles can cause and promote poor upper body posture. Good posture is good body language. Get rid of the hunch and other posture habits and become successfully balanced. Posture or body presentation, describes how you present to the everyday tasks – like backpacks and computer use for example. How you stand, how you sit and how you walk. Do you stand and walk tall, or do you slouch and slump, or somewhere in between? Do you sit more upright at your workstation or do you hunch and slump over it? Computer hunch is a common term these days. There are many reasons why you have the posture that you have. One of the main reasons is that you genetically inherited it from one of your parents or perhaps a grandparent. Some of us inherit a very upright posture and others inherit a very slumped posture. Then there is the effects of environmental and psychological issues. You may have done a lot of heavy work when you were young, causing great strain on the undeveloped musculoskeletal system. Some women have very heavy breast tissue, which causes an increase in curve of the spine to accommodate this increased weight. Another cause is occupational, where you may have been bent over a particular task for long periods of time and this has become a habit. Breast feeding is another common cause of the slumped presentation. You may have contracted an illness, like Scheuermann’s as a teenager, or arthritis, or an immune disorder when you were older. Then of course there is gravity, pulling us into the ground at six pounds per square inch. Posture is often a reflection of how you think and feel. When you feel confident and happy, you are more upright but when you are feeling down and depressed your posture comes down with it. This often starts at adolescence where there is a culture of slouching around or perhaps the shyness of a young girl developing breasts causing her to roll her shoulders forward to hide the fact. This can become habitual and stay with some one for the rest of their life. A targeted stretching exercise stop this downward trend. There is only one problem with posture – the greater the increase in curve in your upper back, the greater the strain on your body. Regardless of how it looks, the muscles across the back of your shoulders, and the muscles that run up and down your spine, have to work much harder. They are continuously under strain, trying to stop your shoulders dropping off the front, and your upper back collapsing forward. Basically this causes muscle strain and pain. An increased curve in the upper back also puts greater pressure on your abdominal contents, affecting the respiratory diaphragm and influencing the way you breathe. As the curvature in your upper back increases, you need to tilt your head back to keep it level. 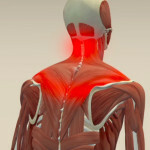 This places a great strain on your neck, which can cause mild to chronic headaches. This whole postural mechanism creates muscle tension. The greater the deviation from the more upright posture, the greater the tension and the greater the pain. The main principle behind the Stretch for Life home based program, is to relieve muscle tension – resulting in a better performing body with less pain. There are other reasons why muscles build tension. You may have a very upright posture but are a habitual worrier, or your mind races at warp speed. These will definitely create slots of muscle tension. However, there are exercises you can do to minimize the effect of a less than ideal posture and they are very easy to do. They reduce muscle tension and therefore they reduce muscle pain. Particularly the pain you feel across the back of your shoulders and in the middle of your back. I believe if you create more balance in your body, it will help you get more balance in your life, and you will be more able to reach your full potential. There are always things that take us away from our centre. There are things that we just have to do. In some ways it is about being mindful, looking at your own situation, and noticing what creates, and what perpetuates stressors on your body. Recognising bad habits that you have formed and replacing them with habits that are good for you. The information in this DVD or chapter download, will help you understand more about what goes on in your body and why you may feel this pain in certain places. Then you will know what you can do about it and improve your posture. You can create the ideal of your perfect posture and perfect health in your mind, then work towards it at your own pace towards a successful balanced and shoulders back posture.This increased awareness allows you to be more responsible for your health, and the health of your family and friends. To read more from Tim’s Blog click here. To check out Tim’s Auckland practice click here. For information about conditions that affect Posture click here.